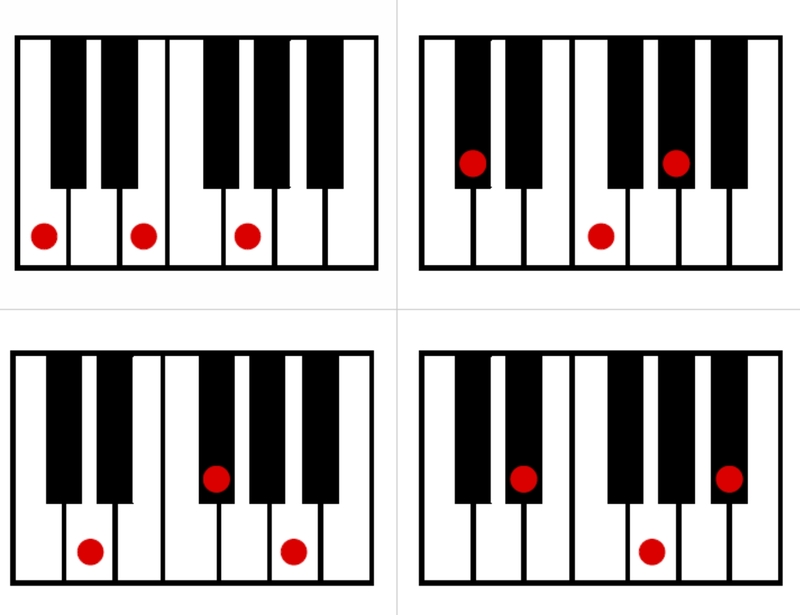 I had a request to make the Keyboard Pentascale Cards into a reference page for young pianists. Here is the result – All of the major pentascales on 2 pages. Susan Paradis also has a wonderful version of the pentascales here. 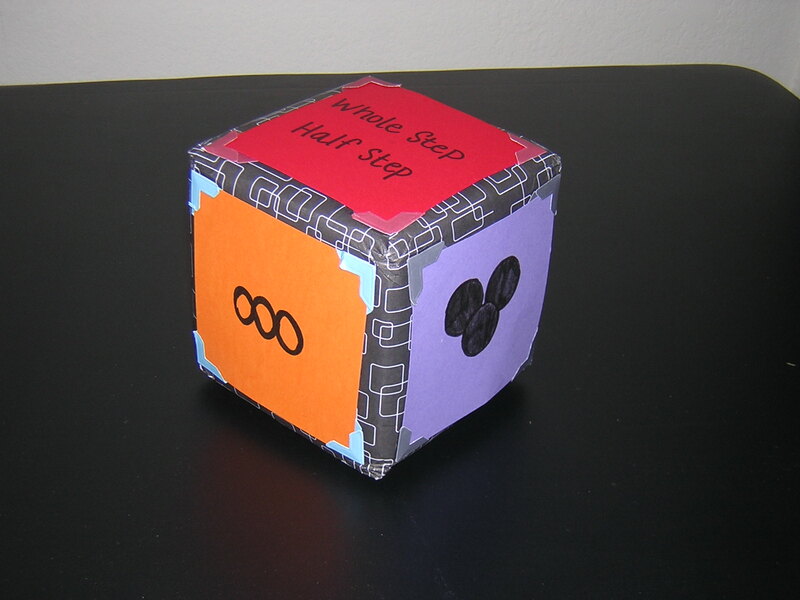 Have you seen Natalie’s great post about making scale blocks? Well, we must be thinking along a similar wavelength. I love my scale blocks, but wanted to have more to use in group classes. Unfortunately, the budget wouldn’t allow it. Then I thought back to elementary school and those cool 3-D shapes we used to cut out and glue together. 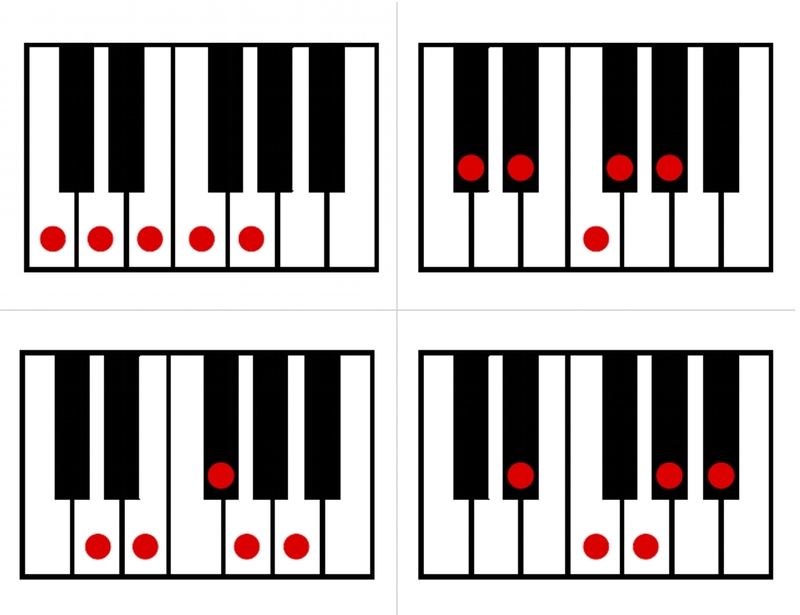 A quick internet search, a bit of finagling on the computer, and here is the result – paper scale blocks! Easy to assemble, and inexpensive enough that the students can even take them home. 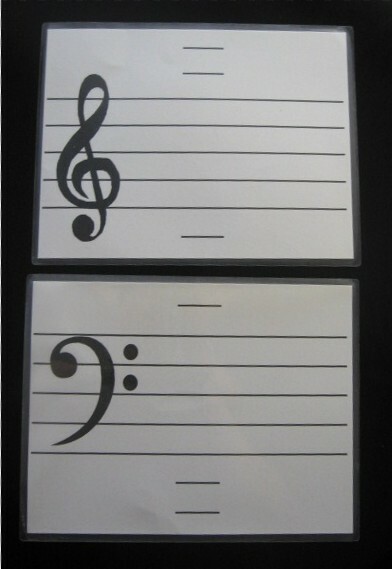 Use cardstock for best results. 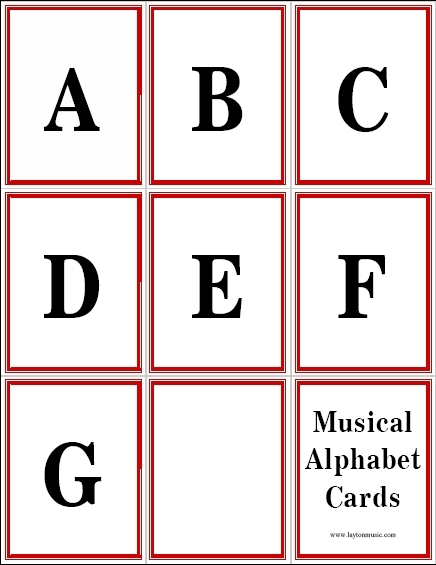 Use them for learning the musical alphabet, steps, skips, intervals, scales, chords, and anything else you can think of! These are the result of some serious procrastinating on my part. I really need to finish a pile of stuff before a soon-to-come deadline, so I did these instead. 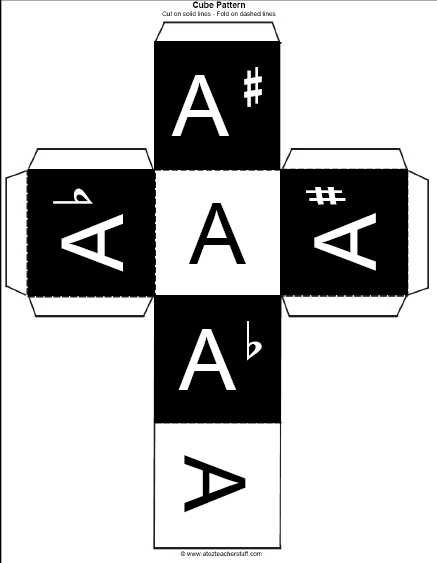 The triads and pentascales are shown on keyboards. 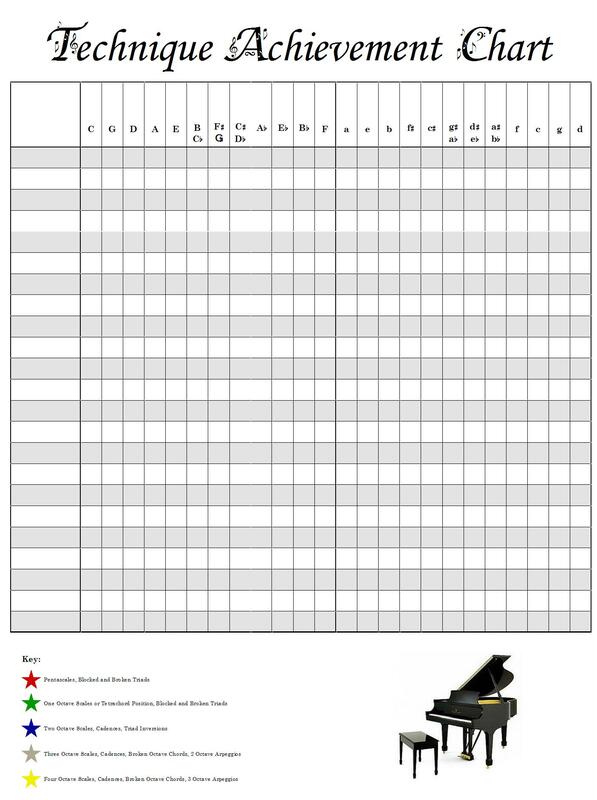 These can be used for simple identification, or print 2 copies for matching games. I made small cards for individuals as well as full page cards that can be used for large groups. I use these for all sorts of things. 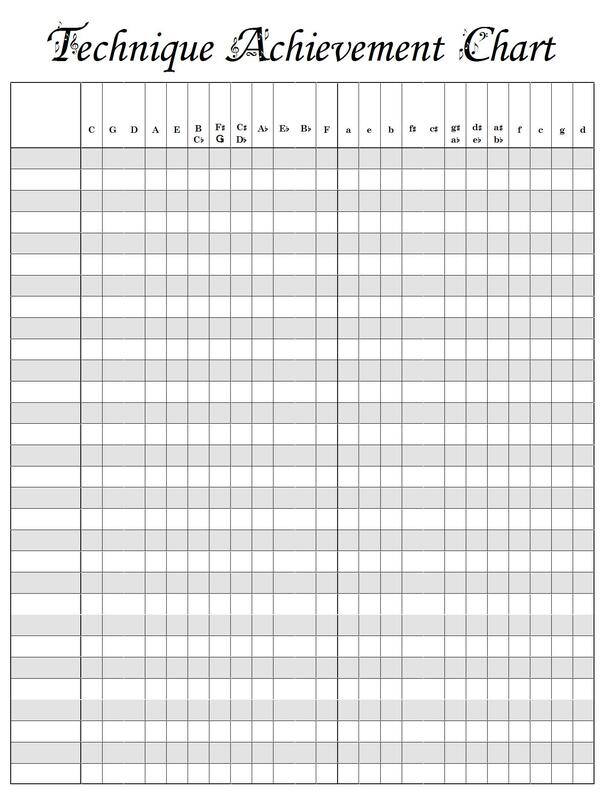 I will use bingo chips, and have students place them on landmarks, various notes, build triads, intervals, scales, or whatever else I can think of. They are great fun, especially when Hershey Kisses are used instead of bingo chips. Yummy!